Your car owner’s manual can contain a wealth of useful information. Sure, it may not have much of a plot, but it will include instructions on how to get the most out of all your car’s features, list the manufacturer’s recommended maintenance schedules and help you avoid missteps that could accidentally void your car’s warranty. The car owner’s manual comes with the car when it’s new, but often gets misplaced over the months or years. And when you take over the lease on a car, the previous driver may accidentally forget to transfer the car owner’s manual along with the lease. This isn’t really a problem, though, if you know how to find your car owner’s manual online. Most automakers today offer owner’s manuals online, downloadable in PDF form. This includes the owner’s manuals for previous model years, at least back to a certain date; though this rules out some older cars, any vehicle currently under lease should be new enough to be included in the online list. Most automakers actually prefer these paperless manuals, because it saves them money on printing costs. That’s why an online car owner’s manual is typically provided for free, whereas a replacement paper manual will usually cost you money. In most cases, you can find your car’s manual online by simply typing the year, make and model into a search engine. To avoid looking through multiple incorrect results or dealing with shady download sites, though, it’s often best to go directly to the automaker’s website. To download your car’s manual, you will often have to register (for free) on the automaker’s website. You may also need to enter in your car’s Vehicle Identification Number (VIN). In the rare cases where an automaker doesn’t post owner’s manuals online, you can still obtain a paper copy (for a fee) either online or through a dealership. Besides searching for car owner’s manuals, you can also find your next car online. 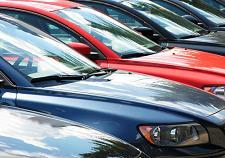 To find out how an online lease transfer could solve your automotive needs, contact us at Swapalease.com. This entry was posted in Car Maintenance & Repair and tagged car maintenance, car manuals online, car owner's manual, leasing a car, VIN, warranties by admin. Bookmark the permalink.